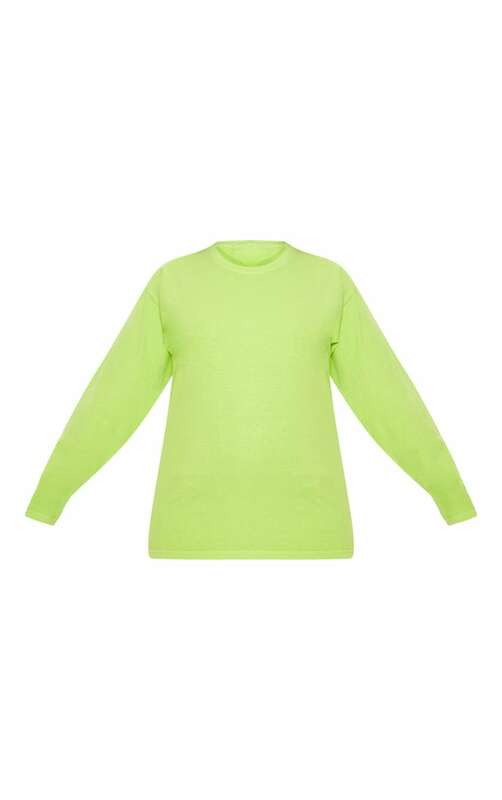 Give your wardrobe a simple update with this neon t-shirt. 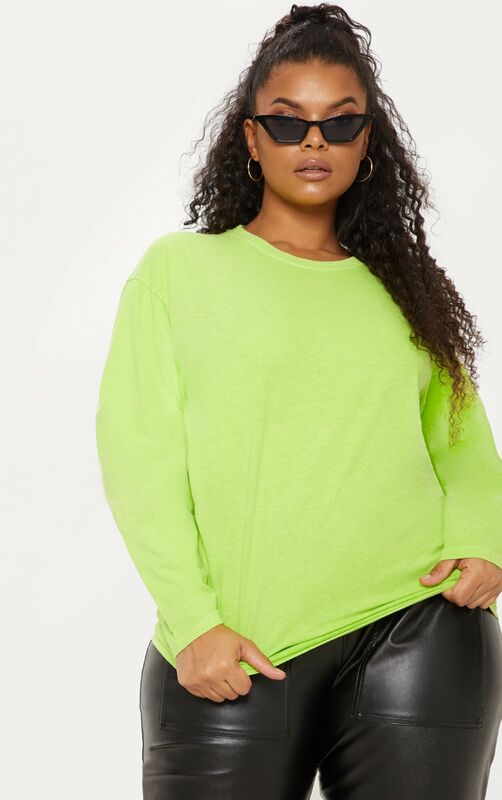 Featuring a neon lime jersey fabric with long sleeves and a loose fit, we are obsessed. Dress it up with some leather joggers and statement neon accessories.